The Panasonic TX-L32ET5B is the first model off the 2012 Viera production line, ushering in what Panasonic hopes will be a golden year for its TV portfolio. Significantly, the Panasonic TX-L32ET5B is also the company's first television to feature passive 3D technology. Passive 3D is the lower-cost, more convenient alternative to the active shutter system, albeit at lower resolution. Panasonic has also lowered the power consumption of its 2012 screens and marginally improved its Viera Connect smart TV service. 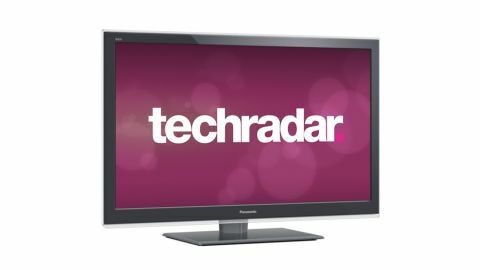 Contrary to Panasonic's own publicity however, the TX-L32ET5B doesn't have a web browser, which is just as well, given how small web page text would appear on a 32-inch 1080p screen across a living room. Another positive step is that before time Panasonic has ditched the much loathed advertising from its GuidePlus EPG. Three cheers for that. At 32-inches, the Panasonic TX-L32ET5B is the smallest of five models in the ET5 range, all of which have 300Hz backlight scanning. It will soon be joined by the 37-inch Panasonic TX-L37ET5B, 42-inch Panasonic TX-L42ET5B, 47-inch Panasonic TX-L47ET5B and their ultra-big brother, the 55-inch Panasonic TX-L55ET5B. The Panasonic TX-L32ET5B costs £700 in the UK. In the US, only the 42-inch and 47-inch versions are available, priced at $1,099 and $1,299, respectively. The ET5 series is a step up from the non-3D E5 series and a step down from the ET50, which starts at 42-inch and adds 800Hz scanning plus active shutter 3D - or Full HD 3D, as it's now known. Want 1600Hz scanning, a slimline bezel and Freesat HD? Keep going until you find the big bucks Panasonic DT50 and WT50 series.